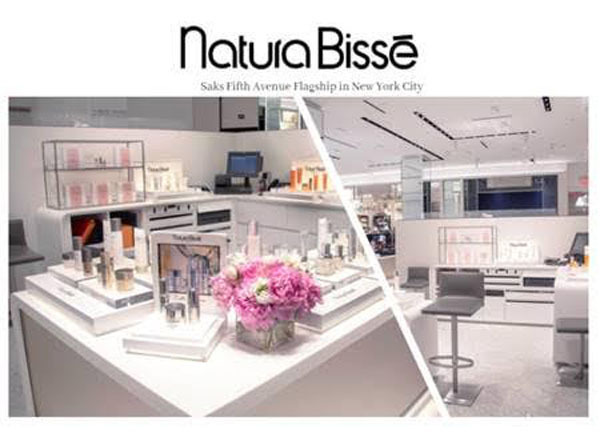 Natura Bissé is proud to announce its opening at the iconic Saks Fifth Avenue Flagship store within their newly renovated, completely updated, world class beauty floor dedicated to beauty and wellness. Natura Bissé will occupy prime real estate with their innovative, results oriented products, combined with unique personalized beauty rituals. To celebrate this special opening, Natura Bissé has created the Limited Edition Diamond Legends Set, as well as a unique menu of services, which includes the Innovative Fifth Avenue Energy Lift Ritual, exclusively for this significant store, and that for the first time ever, combines two hero lines, DIAMOND and INHIBIT COLLECTIONS.